In today’s workplace, employees expect support to perform their duties and the opportunity to progress in their role. Training programs highlight the strengths and weaknesses of employees while also giving them the opportunity to learn valuable new skills. Retention in the workplace is one of the biggest issues employers face. Companies that offer comprehensive training programs for their staff members are more likely to keep employees. Millennials expect the opportunity to progress within their career, but training programs also benefit the employers. The Association of Talent Development states that companies with good training programs achieve a 24% higher profit margin than companies that don’t offer extensive training and development. Developing a strong training program is just the first step. HR professionals need to understand how to market the program too. 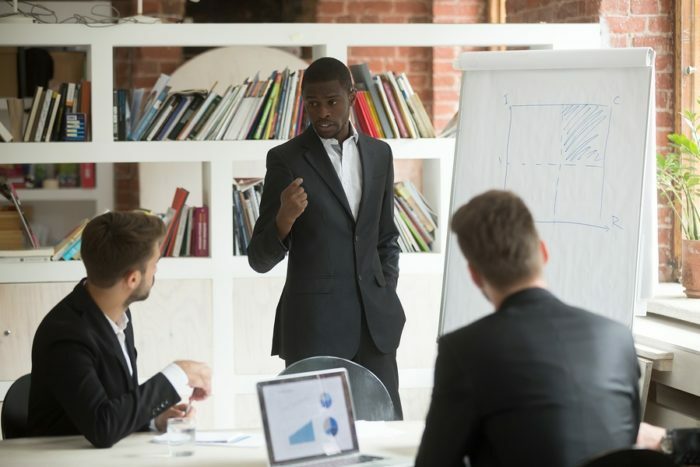 There are many types of employee training programs but each has the same goal: teach employees’ skills and knowledge to improve their performance. The best employee training programs take a lot of planning and development if they are to improve the performance of each employee. To develop a program, employers must be able to find gaps in the skill set and performance of their employees. This falls to the human resources professionals, and it’s a big responsibility. Essentially, an HR professional is a defining factor in the success of an organization. For those in the HR sector that take on training and development roles, it’s hard to develop effective programs. Planning is the key to success, and it’s the biggest part of implementing a training program. Officers must evaluate the skills of the workforce and decide how to improve them to meet the businesses’ objectives. They liaise with department heads and develop training programs to improve the performance of their employees. Another essential part of putting together an employee training program is to identify which training resources they will need. Training can take place online, through specialized instructors or from management. Once the basics are thought out, HR professionals can then focus on implementing the technology and defining metrics and goals for the training program. While the above steps are essential in developing an employee training program, the biggest obstacle is marketing it. How do employers make their staff want to use the program? With the right techniques, it’s possible. Marketing a training program isn’t easy, but following these steps can make marketing fun, informative and engaging. Executives — While company leaders are top of the chain, they still want training to improve their performance. They benefit from learning about goal management, leadership skills, strategic thinking, managing change and achieving business results and objectives. Management — Managers are key to successful daily operations. Staff members respond to strong leadership skills, so it’s essential they know how to manage their team. They could benefit from productivity training, and learn about counseling, managing a team, delegating tasks, ethics, and coaching. HR Officers — Human resources professionals are a crucial part in any company. They need training for compliance issues, legal matters, management, employee engagement, diversity and performance appraisals. HR professionals are also responsible for developing training programs, so it’s important they receive the right guidance on how to find gaps in skill sets. IT — The IT department needs access to the latest training materials at all times. Computer software is changing, and companies need to adapt to keep up. Security, web development, data storage, and desktop applications. Marketing — Marketing practices are essential to developing client relations and gaining new customers. Useful training resources include pricing strategies, social media branding, advertising, event planning, and best marketing practices. Sales — Sales teams create a positive impact on customers, so they need a lot of training. This includes negotiation skills, problem-solving, presentation skills, ethics, customer service, professionalism and much more. To develop a training program, professionals must have a way to measure its effectiveness. Defining which goals the program should achieve is the first step of marketing a training program. Clear goals are essential to creating a marketing plan, and there are many useful ways to set goals. Metrics make sure professionals can decide if they have met their goals. Whether it’s a positive review from staff members, ratings from customers or an increase in productivity it’s important to set metrics. Professionals should always develop their training program with metrics in mind and commit themselves to meet them. It’s also important that a time-frame be set so to meet goals. Professionals can use a time-frame to decide if the training program is successful or if they need to make adaptations. These methods are effective, but each company will have preferred ways of communicating. Professionals can determine how to market their strategy by looking at where the teams will be responsive. There’s no right or wrong answer, but research can benefit professionals and ensure the training is accessible for all members of an organization. Why is the program failing? What is the employee and management feedback? Marketing a training course is crucial to its success, but there are many other things to consider. Just because staff members know about a course, doesn’t mean they’ll attend the training or enjoy it. The training should apply to the daily activities of staff members and be engaging enough to keep their interest and attendance levels. The metrics should be flexible as the course develops. Developing a staff training course is a learning curve for professionals, so they should take the time to evaluate their own mistakes. Marketing doesn’t have to be complicated as long as professionals keep their audience in mind and think of creative ways to reach them. As companies continue to struggle to find customers, training will play a vital role far into the future. New techniques such as immersive learning will define how employees learn, so professionals should continue to develop their marketing skills, and HR professionals must focus on learning and training programs.